At its annual “Further with Ford” event, Ford Motor Company made a few announcements. 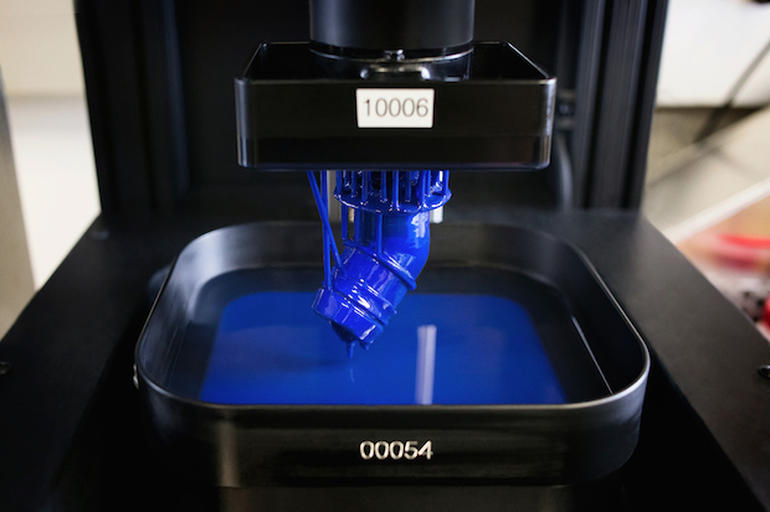 Firstly, the company revealed that it will collaborate with 3D printing start-up Carbon3D and adopt the company’s Continuous Liquid Interface Production (CLIP) technology in order to move faster from ideas to production. The new collaboration with Carbon3D will allow Ford “to quickly create automotive-grade parts for product design prototypes”. Carbon3D’s innovative CLIP addresses the current speed, mechanical properties and material choice issues facing the 3D printing industry by using a tuneable photochemical process instead of the traditional mechanical approach to rapidly transform 3D models into physical objects. By testing a pre-release version of Carbon3D’s first CLIP-based device, Ford demonstrated the ability to unlock mechanical properties unattainable with any other 3D printing technology. Ford relied on conventional 3D printing technologies to prototype new product designs for over twenty years. Recently, the company developed a dedicated new additive manufacturing research program to explore the potential of new technologies to manufacture vehicle-ready parts. “Carbon3D’s CLIP technology has allowed us to realise our need for high-speed, high-quality printing of actual automotive-grade parts. We are excited to further our relationship and look forward to innovating together to make 3D manufacturing a reality,” said Raj Nair, Group Vice President of Global Product Development and Chief Technology Officer. Since its establishment in 2013, Carbon3D has been highly successful; its new CLIP 3D printing technology was also used to develop props for the upcoming Terminator movie. 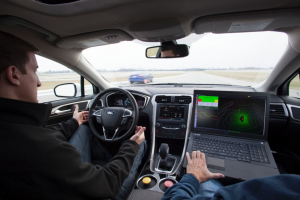 Secondly, Ford announced that it has appointed 29-year Ford veteran Randy Visintainer to lead the autonomous vehicle development project – which means that the company is ready to jump in the self-driving car race. Ford has been developing autonomous driving technologies at its new Research and Innovation Centre in Palo Alto, as part of its “Smart Mobility” plan. “During the next five years, we will move to migrate driver-assist technologies across our product line-up to help make our roads safer and continue to increase automated driving capability. At the same time, we are working to make sure those features and the whole way you shop for, buy and own a Ford vehicle provides an outstanding customer experience,” said Nair. Thirdly, Ford announced that Pre-Collision Assist with Pedestrian Detection technology, already available on Ford Mondeo in Europe, will become available in the US next year on a Ford-brand vehicle. The company said it plans to roll out the feature on most Ford products globally by 2019. 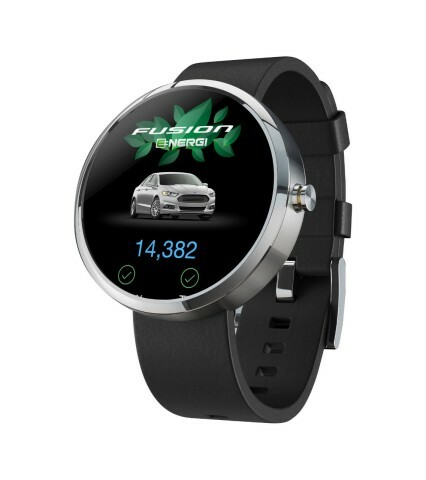 And last but not least, the company revealed that it has developed the MyFord® Mobile app extension for smartwatches that will allow customers to check the driving range and battery charge for their plug-in hybrid or electric vehicle quickly from their wrists before they leave on a trip, and to even find the location where they last parked.